Whether it’s on the subway or in an area with spotty coverage, we’ve all had those moments of trying to run a Google search query right before losing our data connection. We either patiently wait to regain connection, or more likely, we just move on. A Google representative did not respond to requests for comment, but it looks like the feature simply alerts you when search is ready, and will presumably take you to the fully loaded search page when you tap on it. So run a search, go back to what you were doing offline, and get notified about the results when you’re back online. It’s a good feature to include in search, and it’s even better for Google, as it means you’re less likely to forget or move past a search after losing connection. It may be 2016, but a strong data connection still isn’t a guarantee these days. Google has also reportedly been working on an offline version of Google Now, which would bring many of the service’s core functions to the device rather than relying on the cloud. 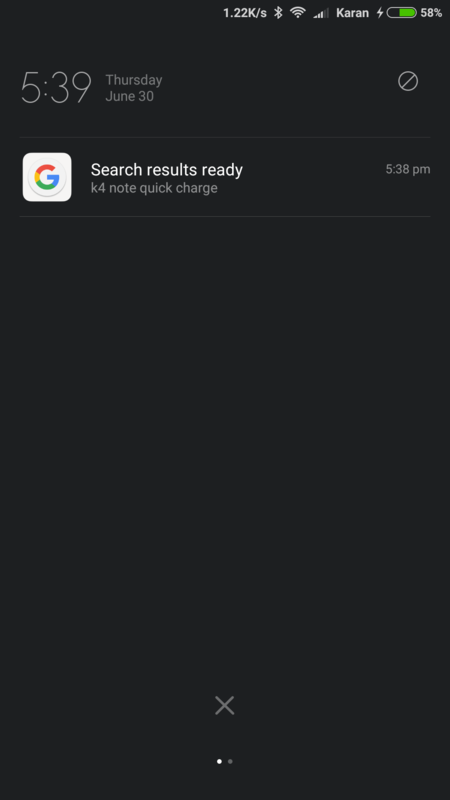 Perhaps these background search notifications are a part of this update, considering Google Now is a part of Google’s search app.